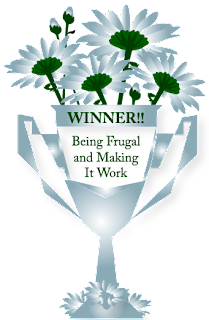 The week is only half over, and I'm already looking forward to a fun and relaxing weekend! This week has been fun, but it has also been exhausting! 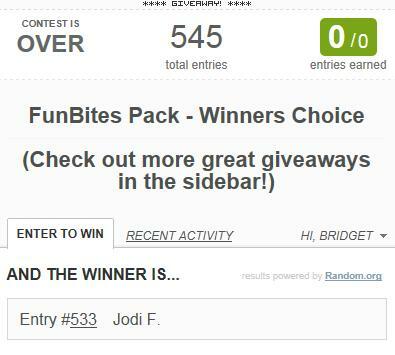 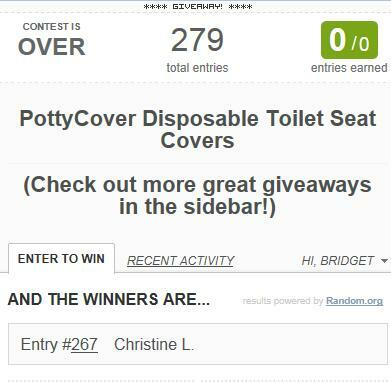 Now it's time to tell you who won the PottyCover and FunBites giveaways. I would also like to thank PottyCover and FunBites for making these giveaways possible for my readers.